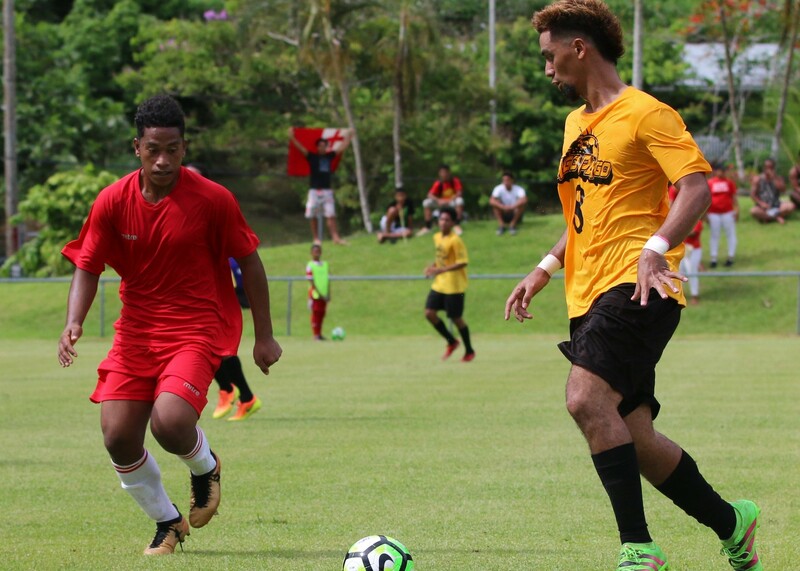 Veitongo expect a tough challenge from current table leaders Tupapa Maraerega while Lupe Ole Soaga are focused on securing a win from their second match against Pago Youth. Coach Alex Napa said he’s keen for more structure from his side than what he saw in their opener. Tonga representative, Veitongo FC is prepared to give Tupapa a good fight as they also aim to qualify for the next stage for the first time in the club’s history. However coach Timote Moleni said the side has to focus on the task at hand after letting a number of chances slip through their grasp against Pago Youth. The second encounter on Match Day 2 is a big one between the two Samoan clubs, Pago Youth against Lupe Ole Soaga. Historically Lupe are the stronger of the two sides, having progressed to the Group Stage from every qualifier they’ve participated in. That said, Lupe’s opening loss to Tupapa will sting while Pago Youth’s performance against the Tonga club champions was one of the more impressive outings for the club on the regional stage. Both sides will be without a key player in their line-ups with after Ruben Luvu Jnr and Vaa Taualai each saw red on Match Day 1 of their respective encounters. “We are still working on our weaknesses from our first game because we don’t want to take that risk to our second game. We need to manage our discipline as that is one of our downfalls from our last game,” Lupe Ole Soaga coach Paul Ualesi said of their focus for tomorrow. For Pago coach Li’atama Amisone Jnr things will be rolling out in a similar fashion to Saturday’s match as he builds on the progress his side has made. Vital Statistics: Veitongo had 13 shots at goal in their opening match but managed to convert just one of those of those opportunities into a goal. The Players: Soakai Vea’s style of football and his talent on the ball means every touch draws attention. Captain Sione Uhatahi is primarily a defender, but watch out when he finds himself in the final third. Vital Statistics: Tupapa Maraerenga have proven the most accurate club after day one with five of their 12 shots going on target. The Players: As expected, Hone Fowler was a rock at the back and commanding both in presence and vision. Vital Statistics: An American Samoa club has never taken points from a Samoan club in this competition. However they have scored at least one goal against them in each encounter since 2012. The Players: Nissan Silao’s audacious pop at goal proved successful, but it wasn’t just his goal scoring effort that drew attention. Silao was on top of anything that came near him and directed traffic from a central position. Suspended: 12. Ruben LUVU JNR. Vital Statistics: Lupe Ole Soaga have never met Pago Youth in competition. The Players: Faalavelave Matagi is a fantastic keeper whose skills at times kept his side in the match. Lapalapa Toni’s speed up front makes him a continual threat, especially when a ball sneaks through the backline for him to chase down.